The quality of the phone’s construction is just about what you will expect for the price. Tecno i3 parades a somewhat slim profile at 7.9 mm. You can have it in elegant champagne gold finish, amongst other options. The 5-inch display uses an IPS display with a resolution of 720 x 1280 pixels. Wide angle viewing should be impressive – well, for the price. Tecno i3 packs in 8 megapixel sensors both on the front and back. It promises impressive images in low-light conditions, with the rear camera said to offer quad LED flash. You also get LED flash for selfie shots. Inbuilt storage of 16 GB looks enough to suffice for some users. There is a dedicated microSD card slot for expansion in case you are not one of such. A quad-core MediaTek MT6737 processor is onboard to get things running on the Tecno i3. This clocks in at 1.3 GHz. The 64-bit CPU is paired with 2 GB of RAM, so you may expect decent performance. Tecno i3 boots Android 7.0 (Nougat) operating system, which is the best you can ask for. This one looks to offer impressive battery runtime, with a 3,050mAh unit under the hood. The dual SIM Tecno i3 supports 4G LTE with Voice over LTE (VoLTE) feature. This promises theoretical download speeds of up to 300 Mbps. Connectivity features also include Bluetooth 4.2 with A2DP and LE, MicroUSB 2.0, and USB On-the-Go (OTG). There is also Wi-Fi 802.11 b/g/n with Wi-Fi Direct and hotspot functionality. For location needs, the Tecno i3 offers GLONASS and BDS, in addition to GPS with Assisted GPS. The Tecno i3 is targeted at the Indian market and is expected at a price of 7,999 INR. 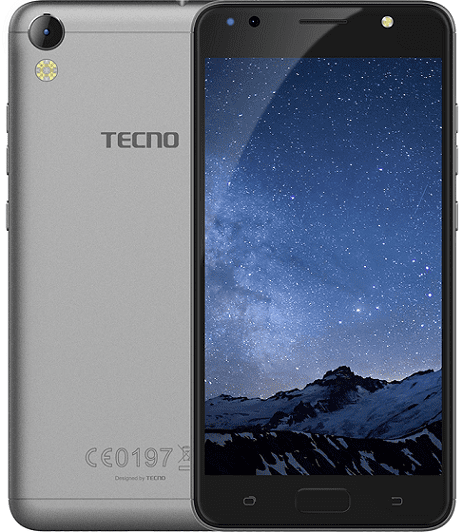 Tecno i3 is not yet available in Nigeria, Ghana, and Kenya. When available, you can buy the affordable smartphone at leading online stores in Nigeria and Kenya. Tecno i3 Price in Nigeria ranges from 40,000 Naira to 55,000 Naira depending on your location in the country. Price in Kenya starts at around KSh 10,499.